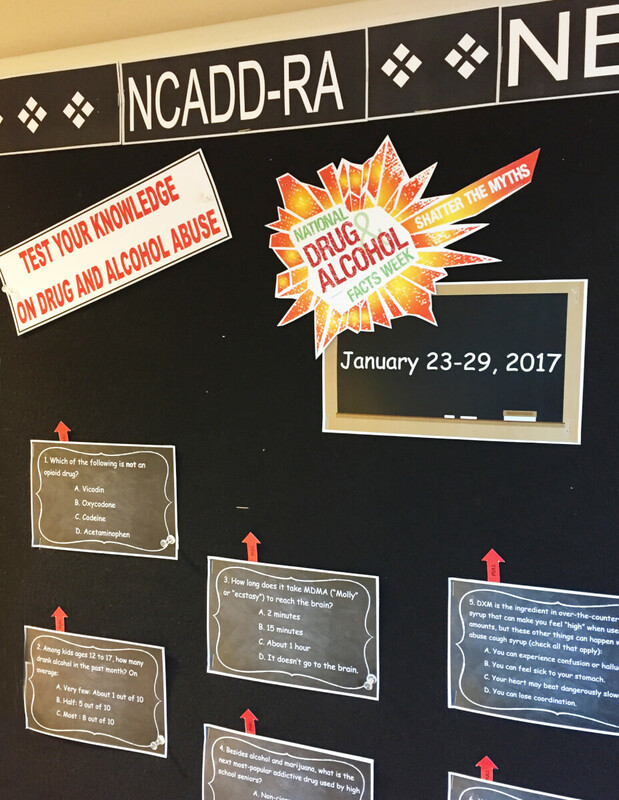 NCADD-RA added an interactive bulletin board back in 2016 to counteract the myths about drugs and alcohol that teens learn from the internet, social media, friends and more. 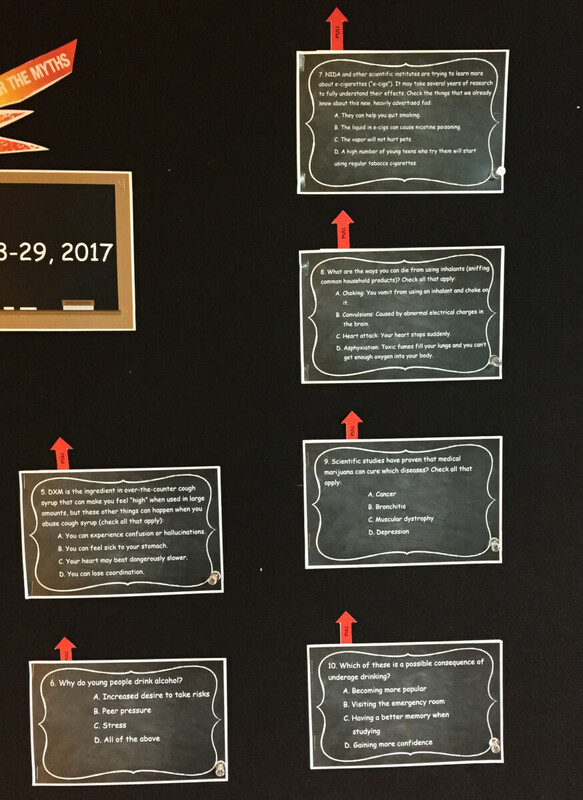 Stop by the bulletin board, located in DePaul’s Rochester Administration building, and see what you score on this National Drug & Alcohol IQ Challenge. Or, take the quiz online here. 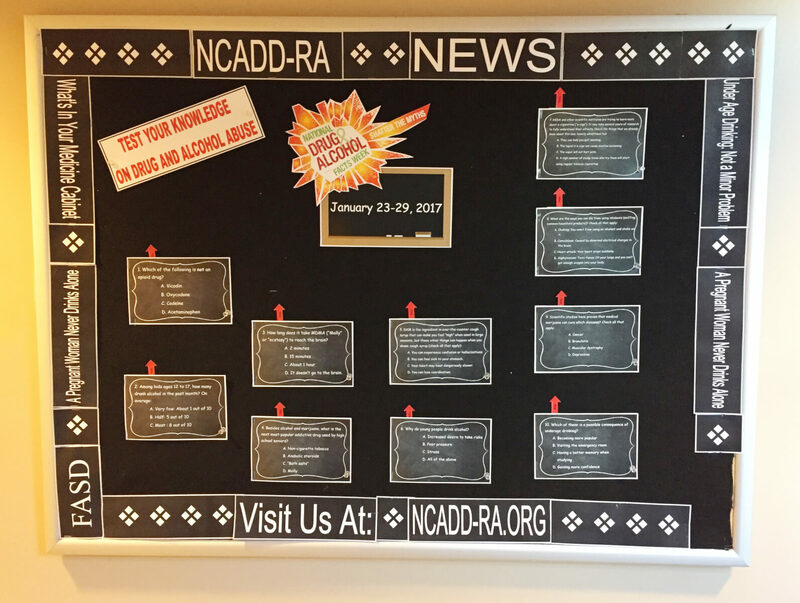 DePaul’s NCADD-RA provides community presentations on a wide variety of substance abuse-related topics upon request. We customize presentations to fit the need, interest and available timeframe of your school/university faculty, PTA/PTSA or other school groups including classroom presentations, outreach and clinical staff, youth and adult faith groups, or workplace organizations. For further information or to schedule a customized presentation with NCADD-RA staff, please contact Beth McNeill, NCADD-RA’s Community Education Coordinator, at bmcneill@depaul.org or (585) 719-3489.